As part of being recognized as a "Top 12 Global Teacher Blogger" by Cathy Rubin for Huffington Post, I am asked each month to respond to a question. 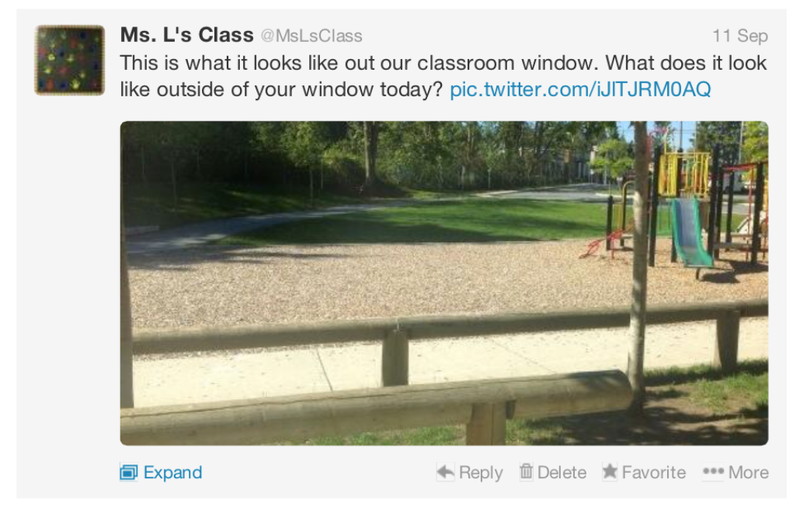 This blog post is in response to " Can social media have a role to play in managing a successful classroom?" If you've spent anytime on this blog, or you've seen what I've shared on social media or what I present at conferences, you'll know that for me and my students, utilizing social media has been an important tool for learning. Let me explain some of the reasons why I believe this. I've always valued the co-operative nature of a classroom. I work to turn my class into a family where we genuinely care about helping each other become the best we can be. For my students and I learning is social. Utilizing social media allows us to be social far beyond the walls of our classroom. 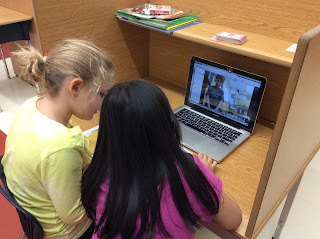 My students have made connections with their weekly reading buddies two time zones over. The have learned math with children in another country. They have connected with children all around the world. These children share a similar interest to them. In one instance one of my students wrote about how much he loved soccer. A few students in Korea read what he wrote and responded back through a comment on his blog. They then took it a step further and created a soccer gift for him. Social media helps my students see the power of learning with others. Social media also helps teach my students that their voice matters. Whether it be through tweeting an opinion on a book, or sharing their way of solving a math problem, children and adults around the world hear what they have to say. Social media allowed my students to interact with Elise Gravel, a Canadian children's book author. My students had questions they wanted answered about her story the Rat, and they wanted to let her know what they liked about her book. Social media allowed them to speak to her directly, and to ask their questions. 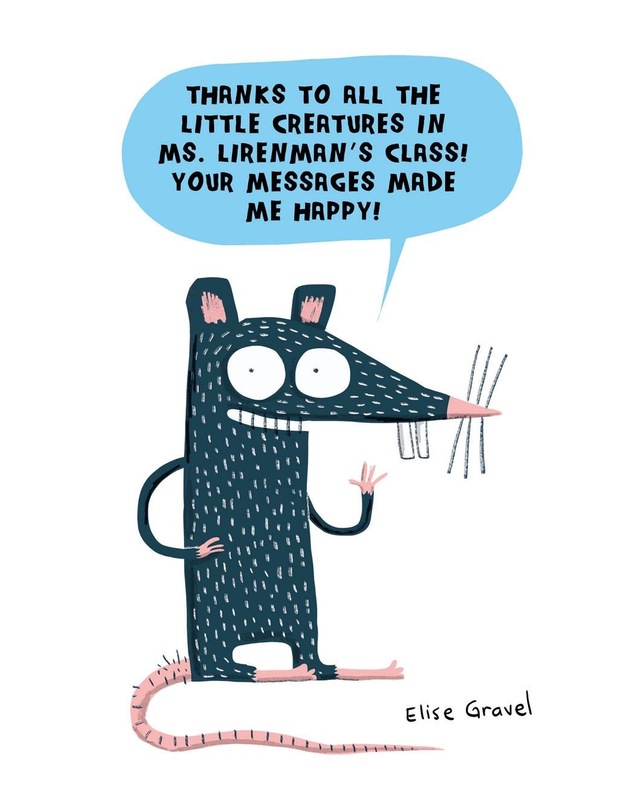 The best part in this interaction was that Elise Gravel heard my students loud and clear and created this image for them, which is the main character in her book. To read more about this interaction please check out this blog post. Through tools like blogs, video conferencing, and twitter my students have been able to learn about other children around the world. A couple years ago we started our year with one simple tweet, "This is what it looks like out our classroom window. What does it look like outside of your window today?" The result was that we received tweets from all over the world. Each tweet brought a set of curiousity questions to my students. "Ms. Lirenman, why are they wearing uniforms?" or "Ms. Lirenman why do they have a guard at their school?". Things are different around the world and it's important for my students to know and try to understand that. Yet, things are equally as similar around the world. My students were able to play "guess my number" with children as far away as New Zealand all because our learning is shared through social media. People see what we are learning, and want to learn with us OR we see what people are learning and we want to learn with or from them. Social media helps us do that. Those are just a few reasons why I feel social media can play a role in managing a successful classroom. How can or does social media play a role in your classroom?